Spoiler Warning: Consider this my Op-ed piece, and it does contain spoilers if you are not totally up to date on Season 3 of The Walking Dead TV series, or haven't read past the prison/Woodbury in the comics. While my love for The Walking Dead show has never reached my love for the comic, I certainly had times when I have liked it, even enjoyed watching it. But frankly, those times are becoming fewer and farther between. For AMC, this show has been a boon. 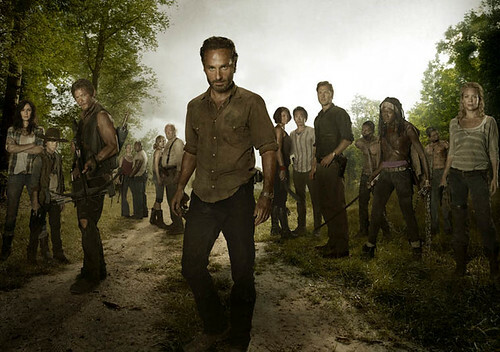 Not that AMC is any slouch when it comes to compelling dramas (Mad Men, Breaking Bad), but The Walking Dead has shattered previous viewing records. There is even a show that is entirely centered around fans, some affiliated with the show, some not, discussing, speculating and otherwise swooning over recent show happenings (The Talking Dead). That said, by the time season 4 rolls around TWD will be on its third show runner, the most notable loss being Frank Darabont, whose first season run has definitely been my favorite. Despite all this internal churn, the show remains very popular with both people who are fresh to the material and those who read the comics. It is however, becoming less popular with me. Enough people have complained about the first half of season 2. You know, the season spent looking for Sophia. Power struggles play out on Hershel's farm largely in the form of Laurie hanging on Rick's back whispering in his ear that he needs to "do something" about Shane....as if that's not a monster she helped to create. By the way, has anyone seen Carl? Season 3 however introduces one of my favorite story arcs in the comic, The Prison and The Governor (Woodbury Settlement). Admittedly, I may be in the minority in this choice, but having the survivors in one place gave an opportunity for both character development and repercussions of previous choices to come into play. I was really looking forward to seeing how this would translate to the show, but instead I'm feeling like the whole spirit of these stories is being told backwards. Things that were so powerful to me in reading have either been played down or played out too quickly, and replaced by cliché imagery and behavior. Rather than the subtle, slower (and fairly creepy) breakdown we see in the comics, Rick instantly devolves into a trembling, raving mess, wandering outside the protective fences of the prison following an ethereal vision of bridal ghost Laurie. Having a psychotic breakdown of this magnitude is a bit self-indulgent, and out of character for the Rick I know from the books. His memory of an idealized Laurie seems trite and too far outside of how viewers interacted with her character. Yeah, yeah, Rick's wife is dead. Maybe if there was more effort to make me like Laurie before she died, I would understand this. Really, I'm just glad I don't have to watch them argue anymore. I know the show has taken some liberties with characters and story-line and that's fine, but I would have hoped that at least some characterization would remain intact. Female survivors Michonne and Andrea are two of the strongest characters in the comic. Michonne is tough physically and mentally and acts as a confidant/adviser for Rick. Her story arc with The Governor is one of the most difficult things I have ever read. Comic-Andrea is an anchor for the group (and the best marksman). She chooses her romantic partner because he supports her, not because he offers protection. In the show, however, the development of these two women has been fairly one-dimensional. Michonne is so far, little more than her sword, and while we are told she took care of Andrea during a hard winter, we largely see her glowering, and beheading, glowering and beheading. Thankfully this Sunday she got a chance to speak, putting voice to what I've been thinking about Andrea; Andrea whose main goal seems to be to attach herself to whichever alpha male is available. She's taken up with The Governor most recently and spends much of her time judging, whining and trying to have her cake and eat it too. Her plea to Rick and his group to lay down arms and "negotiate" is a perfect illustration of the messiah complex Michonne accuses her of having. Thank goodness for Carol. I think it can be argued that Carol has lost the most, having to live through the loss of her child twice. Rather than this destroying her, it's made her stronger, and a true survivor. She gives Andrea some real and practical advice on how she could end the conflict between Rick's group and Woodbury. But it's advice that Andrea can't follow, possibly because she's just too comfortable. TV-Carol is put through her paces in a way the Comic-Carol never would have survived and it's made her more real, likable and grounded in reality. Perhaps the key to surviving an apocalypse is to have to build yourself back up from rock bottom? This fairly cranky write up aside, there are some bright spots. I have already mentioned Carol, whose path is much different than it was in the comics. Rick and Laurie's son Carl has gone from a joke to a scarily capable 12 year old. He's growing up in the world and adapting to it better than anyone. I'm kinda voting for him to lead the group. There are also some new characters, created for the TV series. 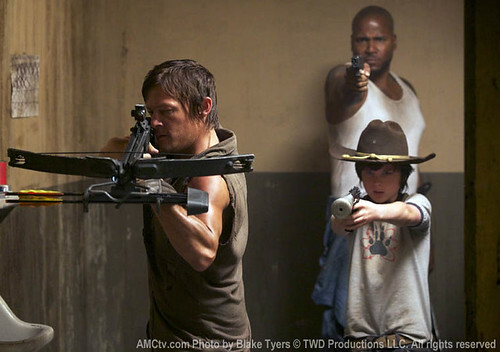 Dixon Brothers Merle and Daryl are probably the most popular. So popular in fact that rumors are swirling that Daryl, at least, may cross over to the comic. Merle, the rougher of the two, has recently returned to the core group after spending some time with a rival survivor group. Calling him a jerk is kind, but he loves his brother in his own way, and doesn't pull any punches. Maybe he'll be the one to give Rick the Moonstruck style "snap out of it" slap in the face he so desperately needs. The younger of the brothers, Daryl, is impossible not to love. The writers must love him too because he's definitely the one who has had the most interesting arc. Daryl goes from a loner who was ignored and abandoned in his youth (including by Merle), to learning how to be part of a family who values him for the first time in his life. These successful new characters make me wonder if the best way to handle this show would be to follow a different group of survivors all together. Or better yet, an American Horror Story style reboot that follows a new group of survivors each season (AMC, call me). I'll keep watching, hoping the third showrunner can capture my attention back. By the way, have you played the The Walking Dead game? Now that's good (and a different post).